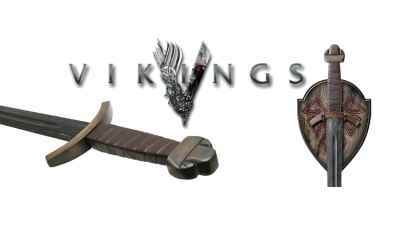 Floki is a genius ship builder and he designs and builds the prototype of the new generation of Viking ships which can sail across the open ocean but also up the shallowest of rivers. 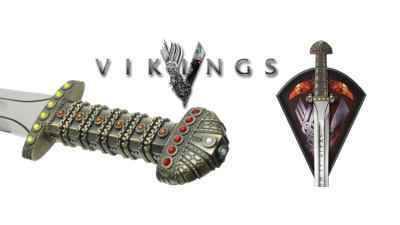 Without Floki, Ragnar would have never been able to fulfill his dreams of discovering new lands and new civilizations. 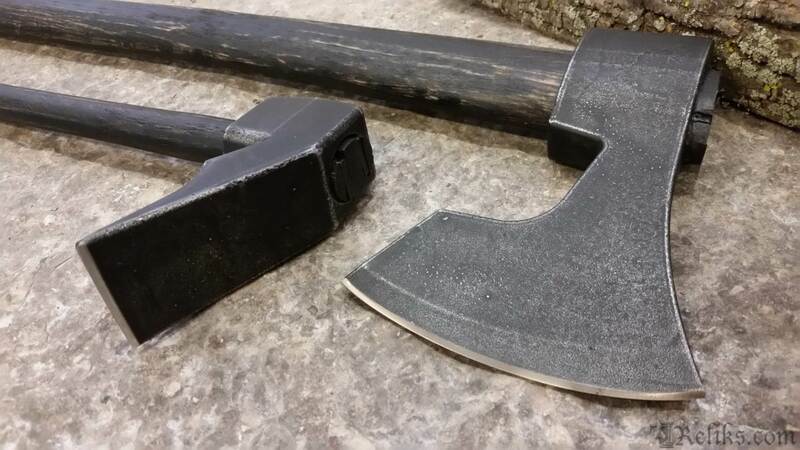 Floki’s choice of weapons are an extension of his craft: the axe and adze. 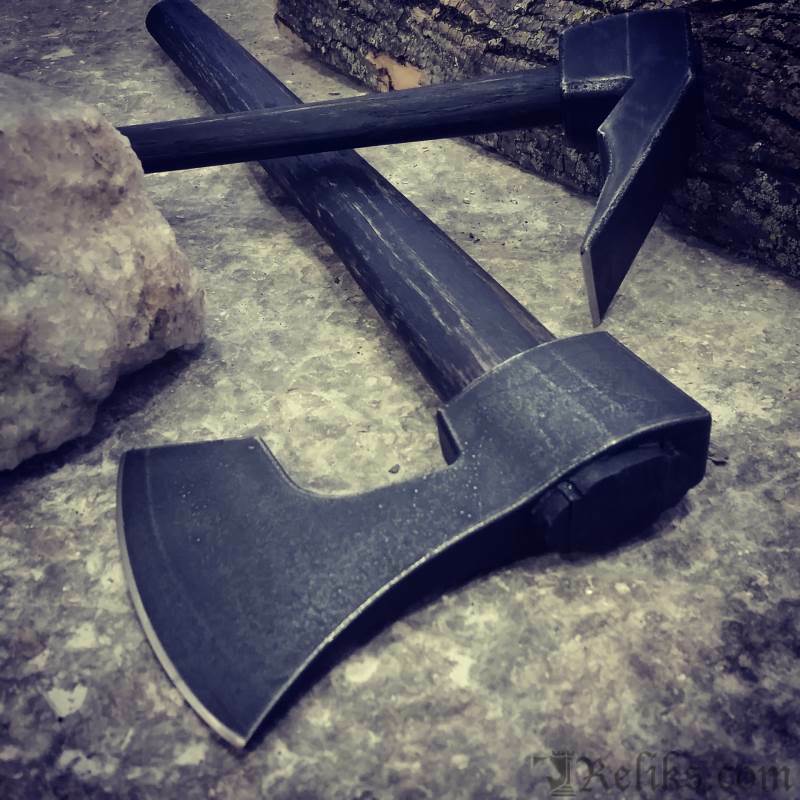 These are the tools he uses while constructing his boats and both are with him during battle, as well. 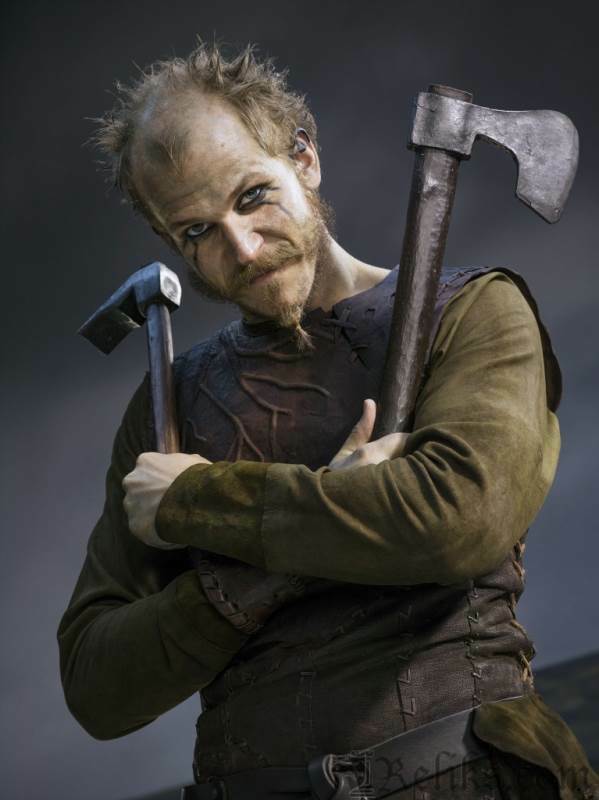 Vikings Floki - Floki shown with his axe and adze from the Vikings series. 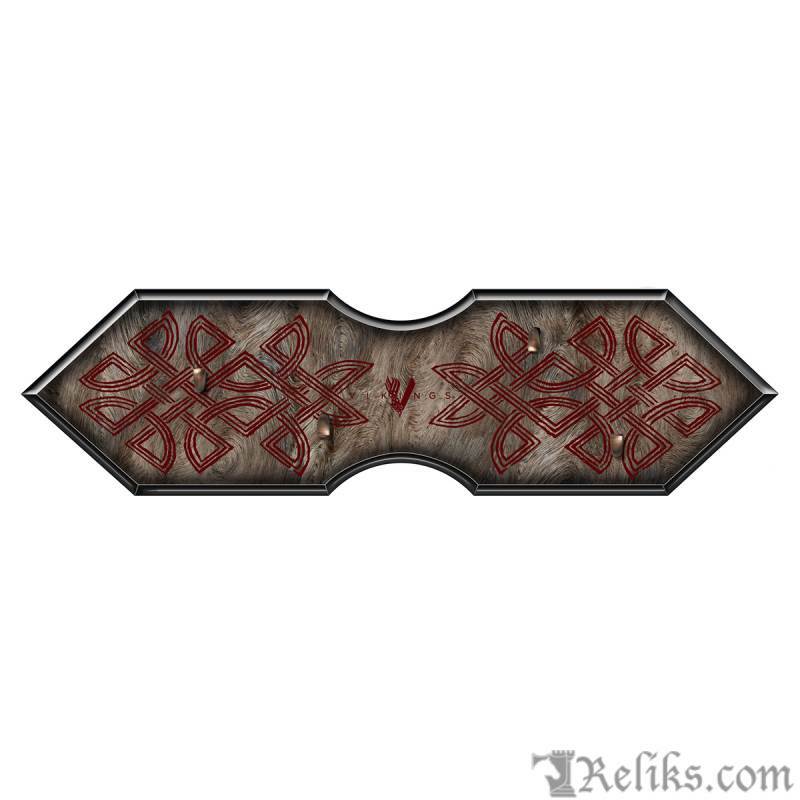 Weapons Of Floki Plaque - The wooden plaque that comes with the Weapons Of Floki. 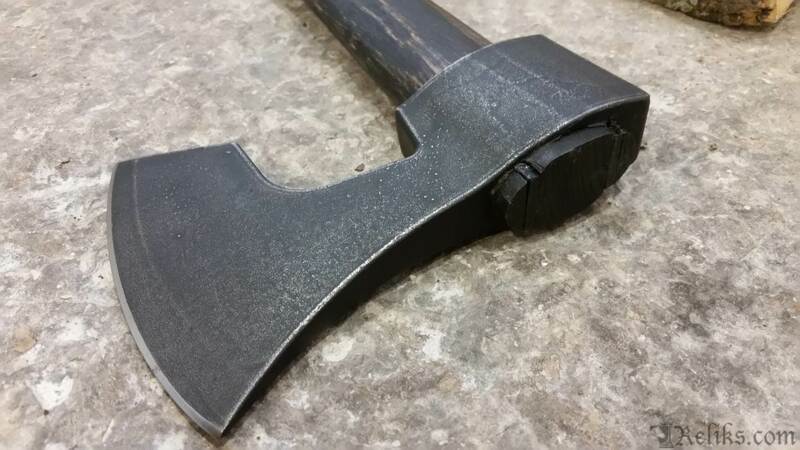 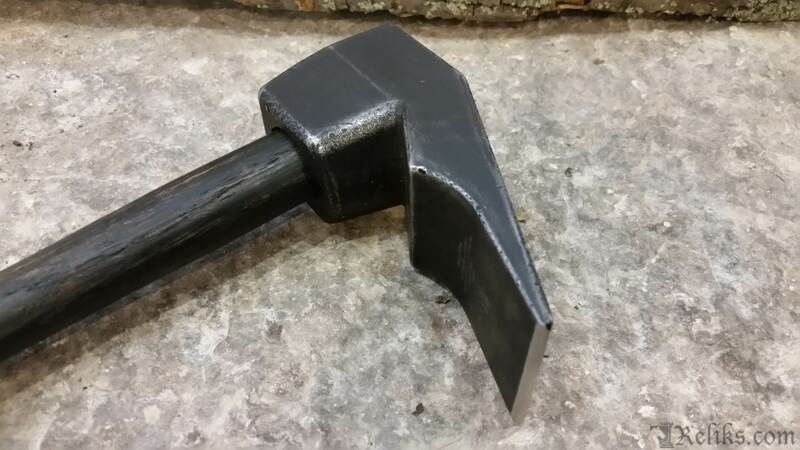 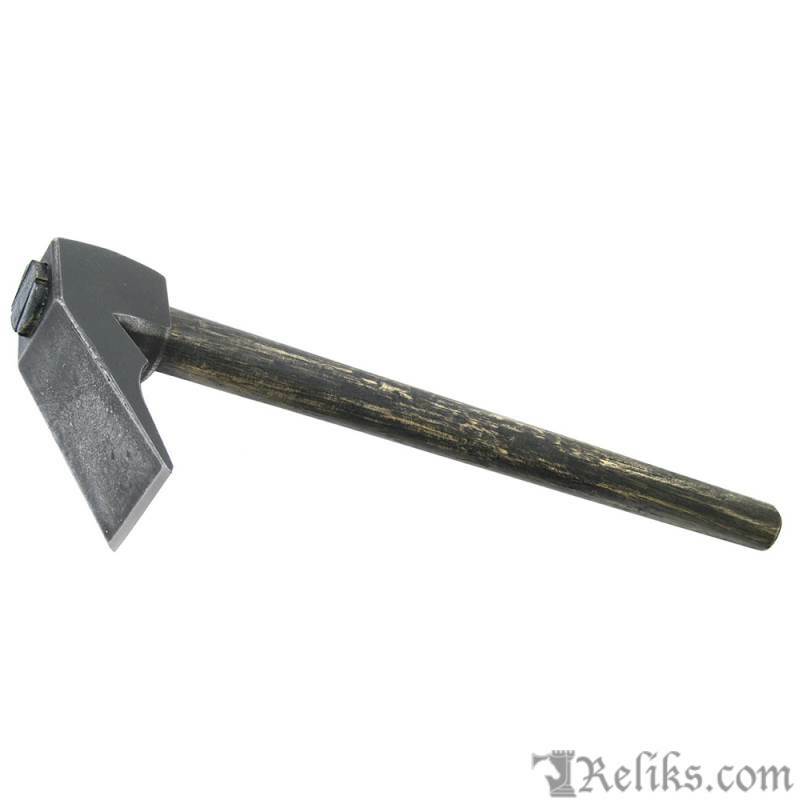 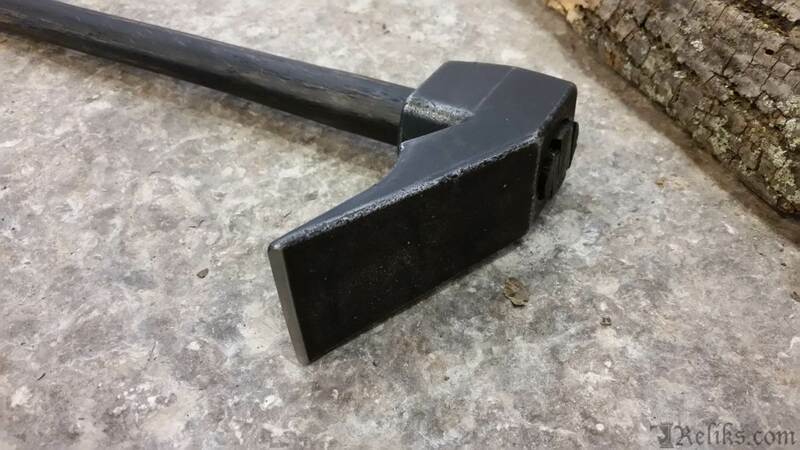 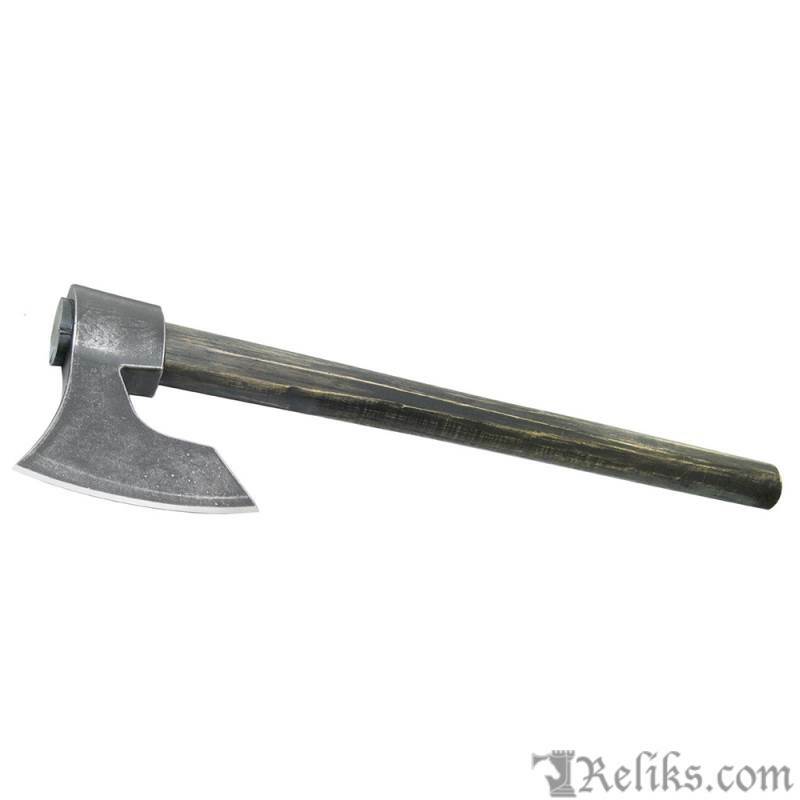 Floki Axe Head - Floki Axe head constructed from stainless steel. 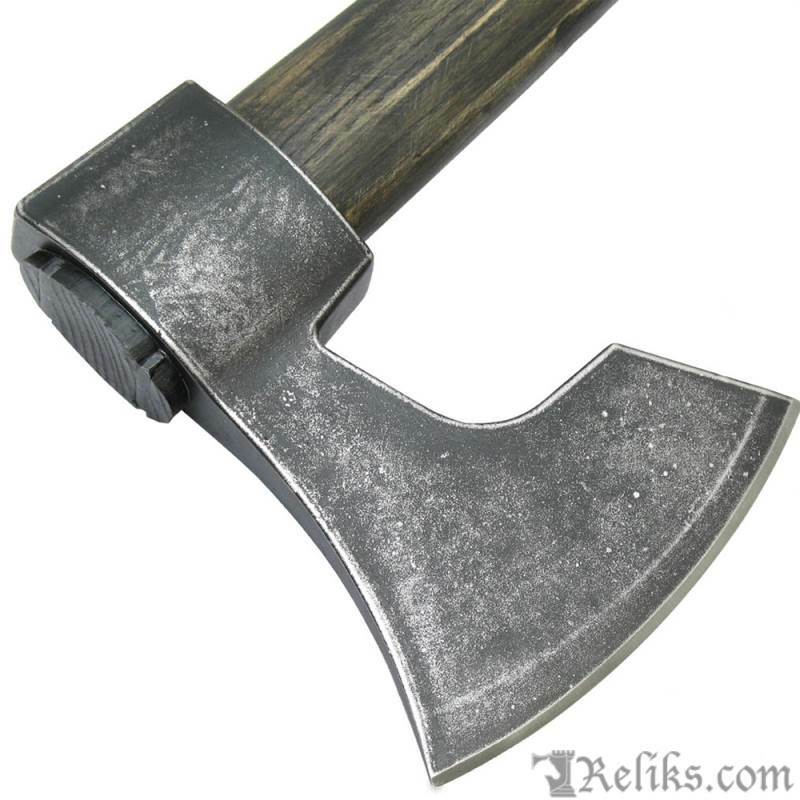 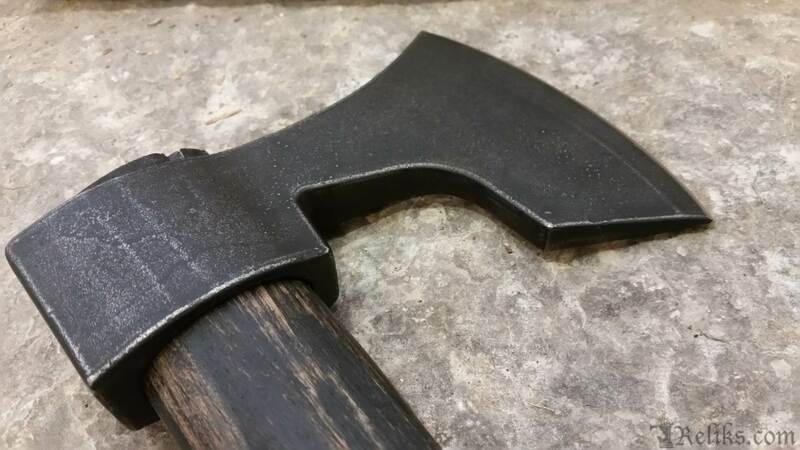 Floki Axe - Floki Axe from the Vikings tv series. 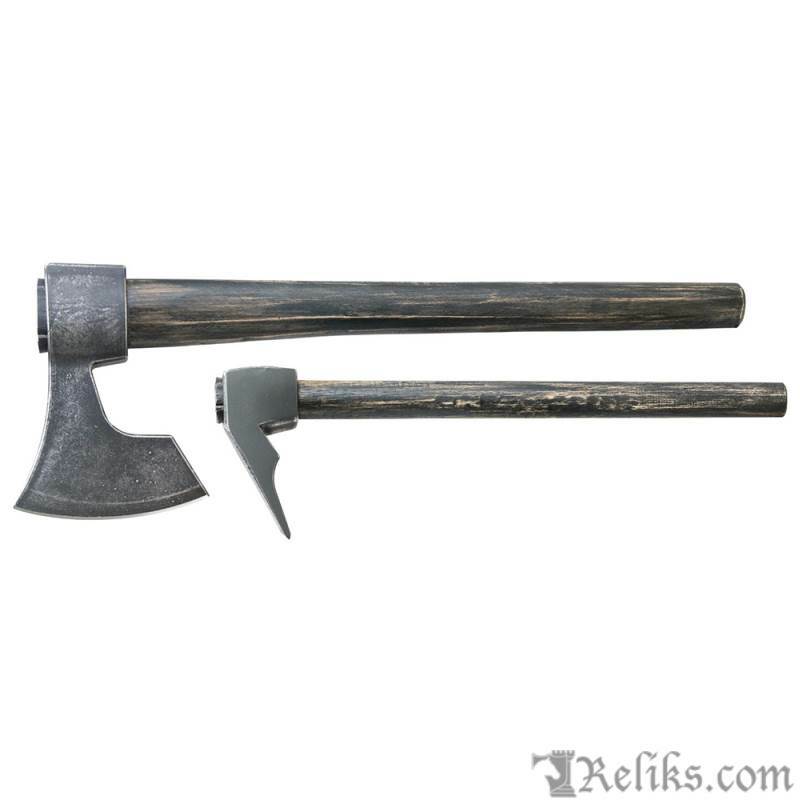 Floki Axe And Adze - Floki axe and adze from the hit tv series VIkings. 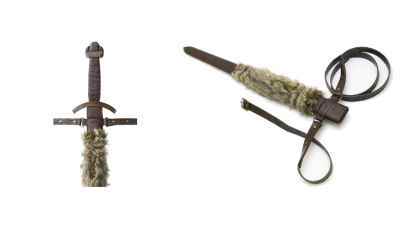 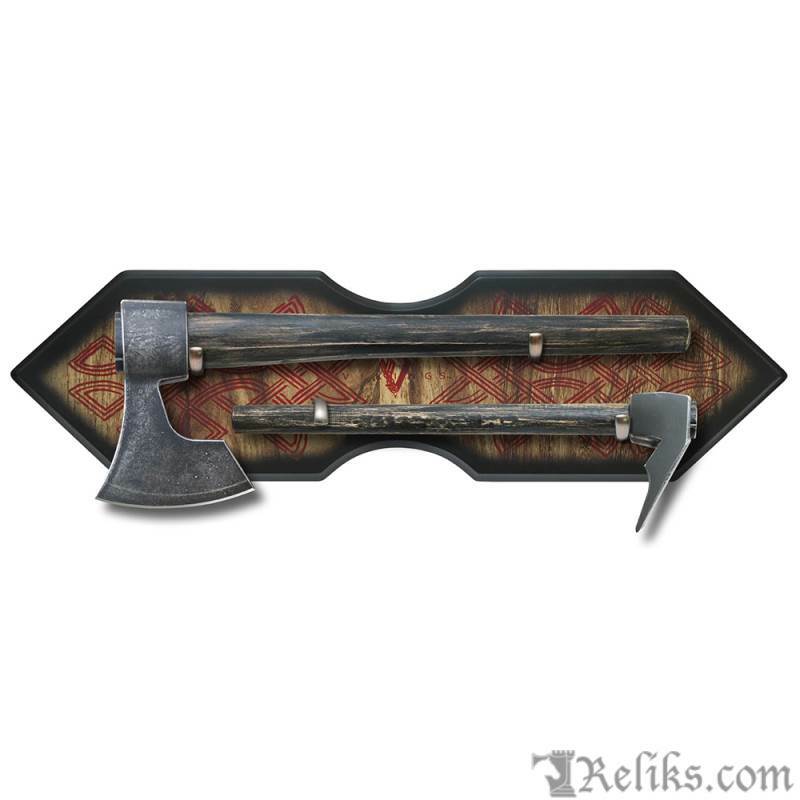 Floki Weapons - Floki Weapons come complete with plaque and Certificate of Authenticity.